Getting people on board with change isn’t always easy. This is especially true in the maintenance industry, where many people still rely on paper forms without showing much interest in embracing maintenance management software like computerized maintenance management systems (CMMS). They don’t want to train employees on new technology and processes. They’ve had issues working with electronic or mobile forms before. They need a solution that works in the office and out in the field. They don’t want to pay for all the features when the facility will only use a few of them. Figuring out the return on investment (ROI) of a CMMS can help you show the value of the solution and gain buy-in from senior management. 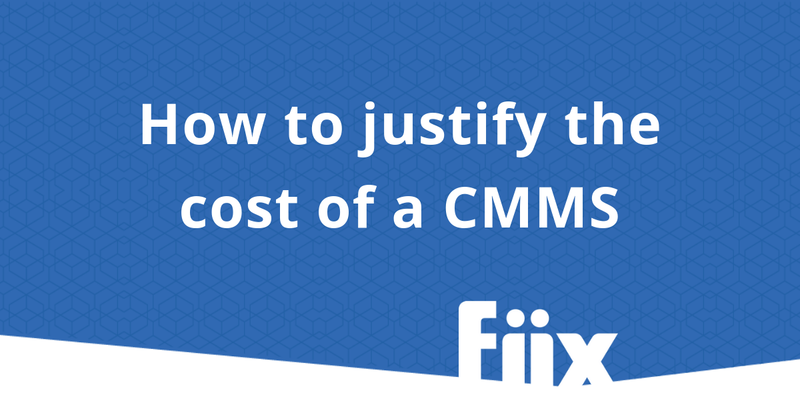 Here’s what you need to know about calculating the ROI of a CMMS. No two facilities are the same, which means you must understand your company’s current processes and strategies to get a grasp on the benefits of bringing in a CMMS. Pro tip: The more data you review, the better you’ll understand your bottom line. If the historical data isn’t available, you should measure these KPIs for at least six months to a year to get an accurate view of your assets’ performance. What data/reports would make the job easier? What information does your supervisor consistently ask for? Where’s most of your maintenance budget going? What’s your desired planned maintenance (PM) to corrective maintenance (CM) ratio? To accurately calculate the ROI of a CMMS, you must determine the total cost of ownership and the value of the maintenance solution. A CMMS offers many beneficial features that can improve your current workflows and efficiency. Using these metrics to determine the potential value a CMMS can bring to your company will help convince a maintenance manager to use one. Calculating the ROI can help you show the value of a CMMS and justify the costs of purchase to gain support from senior management.